The focus of this book is the Cloud. A well-constructed cloud can help in developing good solutions that lead to better performance of systems and better relationships among the people within the systems. The cloud looks simple and seems very logical. This is true when observing a well-constructed and sound cloud. However, to construct a good cloud is not that simple. While working with groups of Goldratt Schools’ students and TOC implementers throughout the world, we have found that many of the people who have learned the cloud and have tried to use it, have not achieved the expected results and benefits. This has led to the conclusion that more detailed and practical instructions might be needed of how to build and properly use the cloud. The cloud is worthy of putting effort into its proper construction. 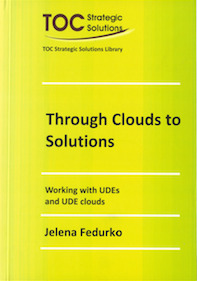 In her book “Behind the Cloud” Jelena Fedurko brings a refreshing breeze to the TOC Thinking Processes (TP) and a deeper understanding of all elements of the cloud and detailed instructions for the entire process. The book also contains examples of typical mistakes in performing the process. This book is a true reference book. You will find yourself re-reading parts of the book when you use the clouds on a daily basis. The more you use the process, the better and more proficient you become. All have to be put together in a precise and clear way. 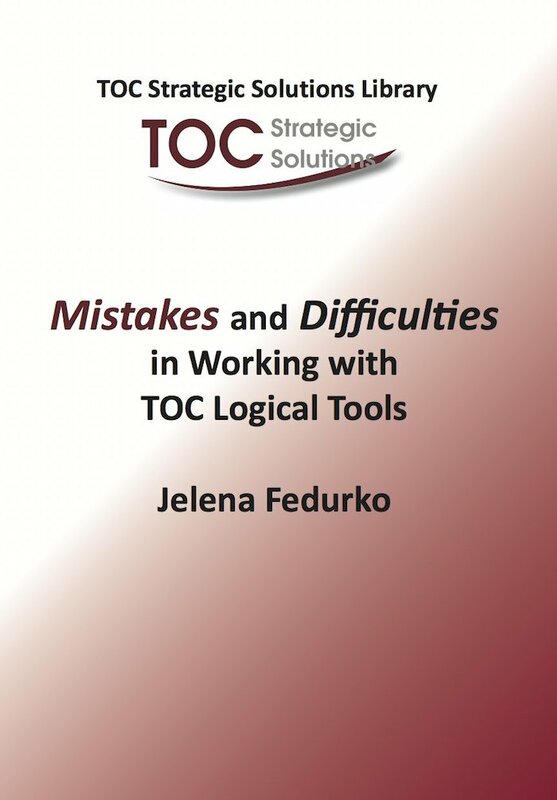 The purchase of The TOC Way for Managing People in combination with the Behind the Cloud book is highly recommended to deepen your understanding about how the TOC tools can be used to improve Communication and Team Building in an organization. A look into reality based on the common sense approach of the hard sciences. Dr. Goldratt demonstrates that complex systems and conflicts are a result of our perception of reality and that by changing that perception, solutions of an order of magnitude can be attained.